Jamal Badawi: Friend to global terrorists, outspoken advocate of wife-beating, and “multi-cultural” “interfaith” speaker at Ohio State last month. 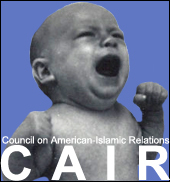 You have to hand it to CAIR-Ohio and the Muslim Student Association at Ohio State. When they decided to recognize Islamo-Fascism Awareness Week last month, they pulled no punches. What they did was bring in one of the most prominent North American Islamofascists to town, Jamal Badawi, as I discuss in my FrontPage article this morning, “Ohio State Does Islamo-Fascism Awareness Week Right!”. The event was billed by the OSU Multicultural Center as “Interfaith Relations — the Muslim Perspective”. As I discussed in a Family Security Matters article back in September, Badawi was a featured speaker and honored guest at a conference in Doha, Qatar honoring HAMAS spiritual leader and Specially Designated Global Terrorist Yousef Al-Qaradawi. Badawi is even listed as such in an article posted on Qaradawi’s personal website. He is also on the Board of Directors of the International Union of Muslim Scholars, an organization founded and run by terrorist leader Qaradawi, which in 2004 issued a fatwa calling on all able-bodied Muslims both inside and outside Iraq to wage jihad against the American military as a religious “duty”. Justification for executing Muslim apostates (as long as it’s qualified as treason against the Islamic state). 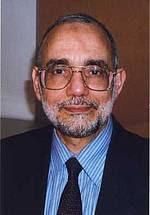 Then there is Badawi’s famous 2004 fatwa for Islamonline (a website run by Qaradawi) outlining six different conditions in which a wife may properly be beaten according to his understanding of “Islamic teaching”, because, as he states, “there are cases, however, in which a wife persists in bad habits”. If anyone had doubts about the existence of Islamofascism, listening to Jamal Badawi for an hour would undoubtedly put those concerns to rest. Both CAIR-OH and MSA have done the Ohio State community a tremendous favor by allowing an up-close and personal look at an actual Islamofascist in action. Those same organizations, however, presumably consider Jamal Badawi to be some great interfaith leader and an outstanding Muslim teacher, thus vindicating David Horowitz and the Islamo-Fascism Awareness Week effort.